MARQUETTE — The Delft Bistro, located at 139 W. Washington St. in downtown Marquette, offers a wide variety of entrees, appetizers and libations in a historic setting. “We feel we have a unique venue and a unique menu,” said Delft Bistro General Manager Sarah Wareham. 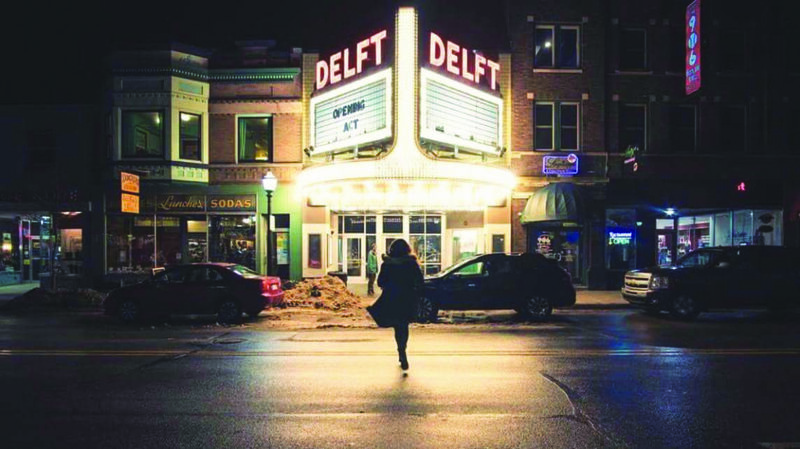 At the Delft, diners can enjoy a meal outdoors under the former movie theater’s classic marquee, or head inside to enjoy selections from the Delft’s menu while films play in the background. The Delft’s menu offers unique dishes for all budgets and tastes, Wareham said, noting that the bistro is accommodating to patrons with dietary restrictions and food allergies. The Delft has a wide selection of beverages, with “unique hand-picked wines, a “seasonally changing hand-created cocktail menu,” and many beverages on tap, Wareham said. Starting Sept. 15, the Delft Bistro will expand its offerings to include brunch from 10 a.m. to 2 p.m. every Saturday and Sunday, which will feature a “unique brunch menu,” as well as “awesome Bloody Marys and brunch-themed drinks,” Wareham said. The bistro hosts two social hours daily, she said, with $5 bottomless fries and $2 off wine and draft beers from 4 to 6 p.m., and a $5 slider and beer combination from 8 to 10 p.m. Furthermore, Wareham said, Northern Michigan University students and faculty receive 20 percent off each Thursday and 11 percent off the remainder of the week. The Delft Bistro also features a “unique space for events of all sizes,” Wareham said, noting the Delft can accommodate parties of 10 to 200 people for everything from business meetings to graduation parties, holiday celebrations, rehearsal dinners and weddings. Overall, the Delft focuses on providing tasty food and drink in an inviting, historic atmosphere. “We really just want to create a really comfortable and friendly environment,” she said, noting that the Delft is “always family friendly” and accommodating to large groups. The Delft Bistro is open 11 a.m. to 10 p.m. Tuesday through Saturday and 11 a.m. to 9 p.m. Sunday. For more information, call 906-273-2455 or visit thedelftbistro.com.